Published January 21, 2012 at 2550 × 3507 in Art. 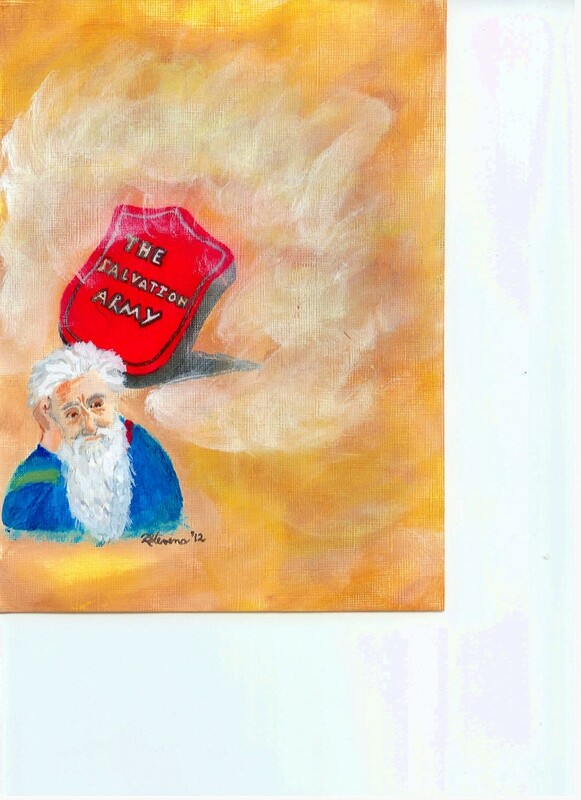 Many of you have heard of the Salvation Army and perhaps you have even shopped at one of their second hand stores. But did you know that this great organization came about because of one man who had a dream, a dream to reach out to the thousands of poor and needy of his day in England? That man’s name is William Booth, and because he believed that God was the source of that dream and he pursued it with all his might, it not only came to fruition but it spread to North America. If you would like to read the whole story, be sure to ask us for a free copy of our booklet, called “When The General’s Dream Comes True”. May God Bless you as you read it.